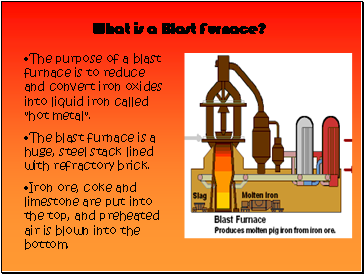 The purpose of a blast furnace is to reduce and convert iron oxides into liquid iron called "hot metal". 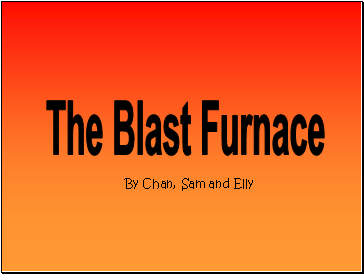 The blast furnace is a huge, steel stack lined with refractory brick. 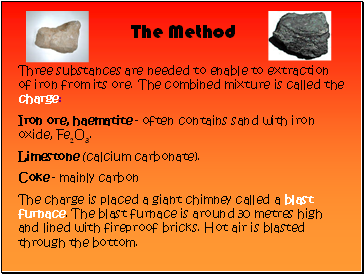 Iron ore, coke and limestone are put into the top, and preheated air is blown into the bottom. 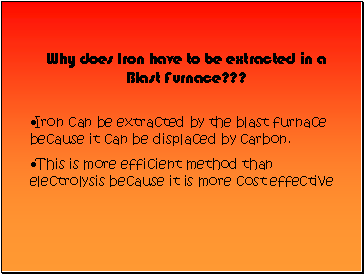 Why does Iron have to be extracted in a Blast Furnace??? 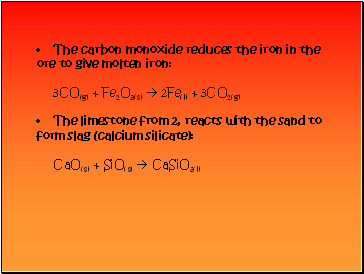 Iron can be extracted by the blast furnace because it can be displaced by carbon. Iron ore, haematite - often contains sand with iron oxide, Fe2O3. The charge is placed a giant chimney called a blast furnace. The blast furnace is around 30 metres high and lined with fireproof bricks. 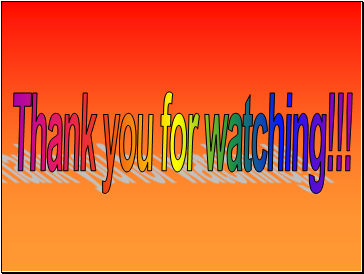 Hot air is blasted through the bottom. 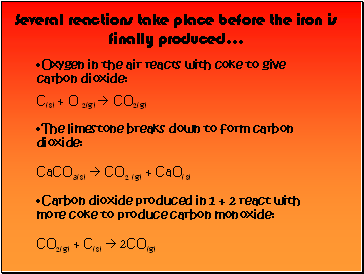 Several reactions take place before the iron is finally produced . 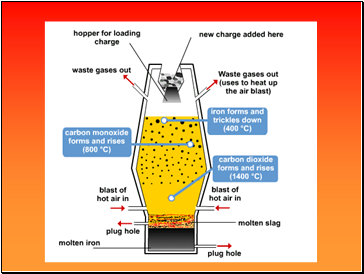 Both the slag and iron are drained from the bottom of the furnace. 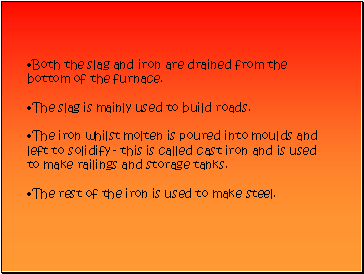 The slag is mainly used to build roads. The iron whilst molten is poured into moulds and left to solidify - this is called cast iron and is used to make railings and storage tanks. The rest of the iron is used to make steel.